Waste is a growing concern for us all- regardless of how much we generate! Any waste that we produced is our responsibility, hence why we need to make sure that it’s disposed of carefully. Waste needs to be handled safely to eliminate potentially dangerous consequences. Here at Skips Preston, we specialise in skip hire Preston, along with various other waste disposal services, so there’s no reason why you cannot get rid of waste responsibly! Controlled waste refers to all kinds of domestic, commercial and industrial waste. Whether you’re looking for a skip for your home or your business, it’s your responsibility to store, transport and dispose of items that you produce without impacting on the environment. 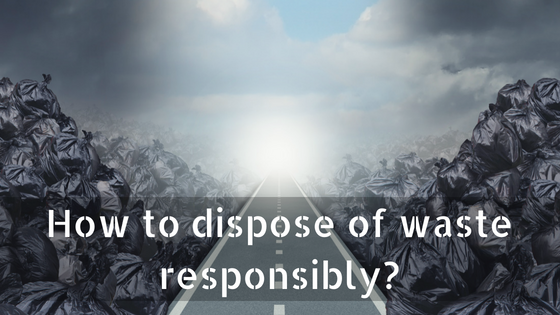 What is the Duty of Care of Waste? Generating waste is something that we all do, but not all of us are aware of how to dispose of it sustainably. The Duty of Care indicates how you’re to take care of waste, meet legal legislation and promote environmental sustainability. Separate, store and transport waste to prevent pollution and reduce the risk to human health. Make sure that waste is transported and handled carefully by businesses that are authorised to do so. Complete waste transfer notes with a full, accurate description of waste and keep a record of the waste that’s generated and disposed of. Depending on how you choose to dispose of waste, you may be illegally disposing of your materials! The Duty of Care for Waste is used to eliminate the risk of waste entering the hands of illegal operators who don’t deal with waste in accordance with the law. Other examples of crime include running a waste site without a permit. When you choose skip hire Preston or any other waste collection services, you need to make sure that you can trust the company to take care of the waste. The skip hire company that you choose should prevent waste being exported and dumped illegally, meeting and exceeding your project requirements and stringent laws. Waste pollution is a serious environmental problem globally. There are several regulations that are implemented to lessen the impact, one of these being separated waste collections. Waste collections have seen a dramatic improvement in the volume of waste that’s sent to landfill, ultimately preventing the volume of hazardous waste that’s combined with ordinary waste. When waste is taken to the landfill, hazardous waste doesn’t stop here! Materials like asbestos, chemicals, plasterboard and paints can penetrate into the soils where they will eventually reach groundwater and contaminate drinking water resources- posing threat to health. How can Skip Hire help you to dispose of waste responsibly? Why not find out more about us? The team at Skips Preston have developed a wealth of knowledge and experience over the years when it comes to skip hire Leyland (and other areas across the North West!) We make sure that any waste that’s stored inside our skips is sorted and disposed of appropriately, aiming to recycle up to 90% of all materials! With skip hire Leyland, we aim to dispose of waste in a sustainable, ethical manner, accommodating for some of the most diverse demands. We arrange skip delivery and collection for a time that’s most convenient for you, so all that you need to do is fill the skip and leave the arduous work to the professionals! Businesses generate waste in all shapes and sizes, making it incredibly difficult to store materials on site without creating an eyesore and causing an array of hazards. The waste that your business generates needs to be collected, disposed of, treated and recycled effectively, hence why we offer commercial skip hire. The commercial skips that we provide for skip hire Chorley are bound to meet your specific needs and wants; they start from as small as 20-cubic yards and range all the way up to 40-cubic yards, offering an abundance of storage space! When it comes to storing waste from your renovation or refurbishment project, the domestic skips for skip hire Chorley and skip hire Bolton are surprisingly spacious. Filling a domestic skip will prevent serious hazards and ensure that potentially dangerous materials are kept off the ground and out of harm’s way. Domestic skip hire Bolton is your responsibility; as soon as we have delivered the skip and it’s in your possession, you are held liable for it and the contents found inside. Depending on where you choose to leave your skip, we recommend regularly monitoring your skip to make sure that waste hasn’t been fly-tipped because you will be handed a nasty penalty- even if you didn’t put it there! Get a Quote for skip hire here today! Dealing with waste is a big deal and you need to make sure that you can trust that your waste is in safe hands. Registered waste carriers are responsible for carrying materials from your premises to the local waste transfer station. At Skips Preston, we pride ourselves in delivering cost-efficient services, like skip hire Wigan, to meet your waste disposal needs. As registered waste carriers, we are legally permitted to transport the controlled waste from your skip hire Wigan to the recycling centre where it will be thoroughly sorted and separated into “recyclables” and “non-recyclables”. Skip hire companies, like us at Skips Preston, are licensed to handle waste and have a Certificate of Registration which incorporates a registration expiry date. Information regarding responsible waste disposal is accessible to everyone- so there’s no reason why you cannot dispose of unwanted materials reliably! To find out more about the services that we specialise in at Skips Preston, don’t hesitate to get in touch with us by calling 01772827603 today.